President Donald Trump toured New Bern, North Carolina, on Wednesday, viewing the damage caused by Hurricane Florence. “Yes!” Trump said enthusiastically, embracing the boy to the delight of the crowd. 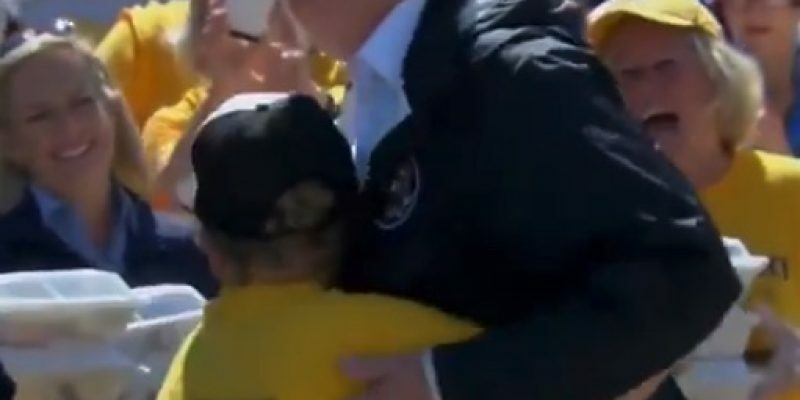 “You did a good job,” Trump said, referring to the boy’s mother before taking a picture with the boy. “Now you made me cry!” noted one of the woman volunteers. Next Article Why does O’Rourke continue to insult Black Americans?